Photography and cinema are my passion, my career as a wedding photographer, however, is started by photographing a bride at the exit of the church, at the end the bride requested my photos rather than those of the official photographer. 2. How has your extensive experience in wedding photography helped you in difficult circumstances on a wedding day? 3. Tell us about some of the more unique weddings you've shot. The most amusing and colorful weddings are certainly the Indian ones, although I must confess that my first wedding as a photographer will never forget it. 4. What are some of your favorite local venues? 5. What advice would you give a bride who is looking for a wedding photographer? 6. What's your favorite part of the wedding day to photograph? My passion is the photographic session after the ceremony when together with the couple we dedicate ourselves to the portraits. 7. What kinds of weddings do you love to photograph? 8. What are your top tips for brides to help them get great photos on their wedding day? 9. 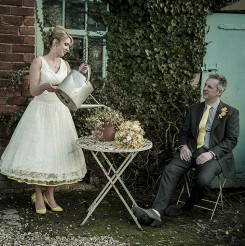 How important is it to hire an experienced wedding photographer? I would say a lot because that day you will surely need someone on your side to help you get everything right. 10. 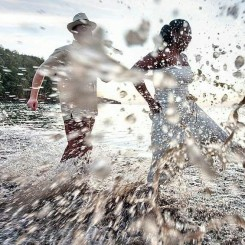 What do you find is the biggest challenge in wedding photography? 11. Do you do "destination weddings?" If so, what are your favorite destinations? 12. What do you do for fun when you're not shooting weddings? 13. How would you describe your style of photography? My challenge is to offer the best of both worlds: excellent photojournalism and beautiful portraits. 14. What do you offer to clients that is unique? What is your Unique Selling Proposition? My challenge is that their wedding and their photos are unique; I dedicate all of myself to offer my couples a special photo dedicated exclusively to them. 15. Do you offer albums? If so, describe the albums you offer and why you think it's important to provide albums. Touching the photos, looking at them, printing on the best papers, bound by Italian artisans, all made in Italy with the best materials, make our albums definitely one of the best in the world. 16. How would you describe the current state of the wedding photography industry, and where do you think wedding photography is headed in the years to come? 17. What (or who) inspires you? 18. Have you found any products, services, or seminars that have made a difference to your photography or your business? I must say that today learning, studying and investing in yourself is much easier, with the many online schools and classes of the best photographers in the world. 19. What's the best photography-related advice you've been given? really look at what you're seeing in this moment. 20. What would you say was the biggest reason for your success? I think people eventually appreciate in me the commitment and dedication I put into what I do. 22. What future plans do you have for your business for the next year? 23. What is the biggest challenge facing wedding photographers today? Billions of images now on social media; combine the reality and expectations of people, it's tough. 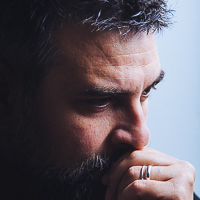 I'm Massimiliano Esposito, I was born in Rome, Italy. Photography was always my dream, my passion - a way to express myself. I love weddings, love to capture real emotions, real people, real life ; when family and friends are there for one reason only : to celebrate love.To realize my dream, in 2010 I've finally decided to open my own studio as a wedding photographer. In 2014 I've met my wife, who is also a photographer. 90 % of the weddings we do together, so we can capture really everything, from two different point of view. After a while new dreams came up, new challenges. Today I'm very proud of myself : I've became a member of some serious group of photographers like Fearless, WPJA, ISWP. I'm always looking for something new , something that makes people say WOW. I never stop to experiment, new techniques, new places and I keep studying from the best photographers all around the world. I'm always motivated and at every wedding I do my best. On that day the only thing that matters is to give my clients a true, breathtaking, unique story through my photos. I'm trying to find the right balance between photojournalism and portrait photography. They are both important on the same way. Photojournalism is great, is fantastic. 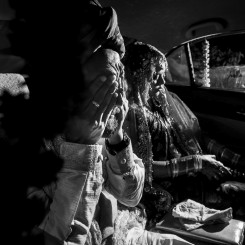 Is just so real, I shoot what happens : the real wedding, the real smiles , the real tears. But... everyone loves love stories. Photos which take your breath away. 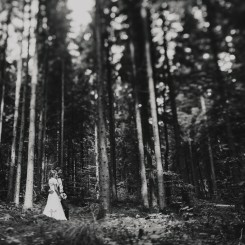 Everyone needs the portrait session, alone, just the bride and the groom where I can see their real love, the intimacy. Currently I live in Rome, so I serve all Italy but I prefer to consider myself as a destination wedding photographer so I travel all around the world for your wedding.